While no Groningen student has been stressed by their lectures on Shakespeare, things are different elsewhere. Some day Shakespeare may even be bard from university syllabuses. 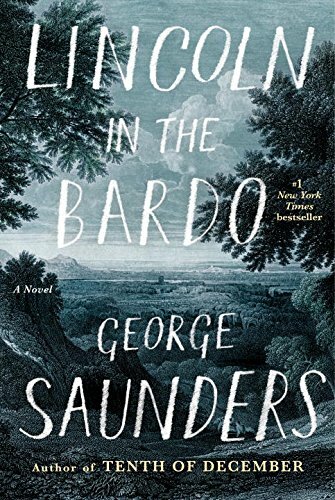 The Man Booker Prize, which is worth £50,000, has been won by George Saunders for his novel Lincoln in the Bardo. This is the first novel from an American writer who previously published short stories. The novel is based around the funeral of Abraham Lincoln’s eleven year old son. ‘The form and style of this utterly original novel, reveals a witty, intelligent, and deeply moving narrative. This tale of the haunting and haunted souls in the afterlife of Abraham Lincoln’s young son paradoxically creates a vivid and lively evocation of the characters that populate this other world. Lincoln in the Bardo is both rooted in, and plays with history, and explores the meaning and experience of empathy.’ – Baroness Young, chair of the judging panel. 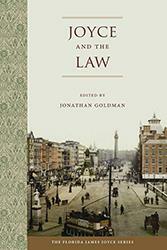 Dr Tekla Mecsnober’s chapter on Joyce and law has just been published in a volume from The Florida James Joyce series. Making the case that legal issues are central to James Joyce’s life and work, international experts in law and literature offer new insights into Joyce’s most important texts. They analyze Dubliners, A Portrait of the Artist as a Young Man, Giacomo Joyce, Ulysses, and Finnegans Wake in light of the legal contexts of Joyce’s day. (Publisher’s Description). This week saw the paperback publication of the selection of Byron’s letters that has been edited by our newly arrived professor of modern literature, Richard Lansdown. The British ambassador to Burma was forced to stop Boris Johnson mid-sentence as he recited a colonial poem in the country’s most sacred temple… Rudyard Kipling’s Mandalay is written through the eyes of a retired British serviceman in Burma and also references kissing a local girl. Students will know Kipling from the first year syllabus where his poem ‘The White Man’s Burden’ appears. She’d git ‘er little banjo an’ she’d sing Kulla-lo-lo! We useter watch the steamers an’ the hathis [elephants] pilin’ teak. Incredible. But could it really be plagiarism? How likely was it that a poet laureate would steal anything at all, let alone a keystone work by a modern legend? How could he think he’d get away with that? One chasing down alleged plagiarism in poetry a public service or a witch hunt? It makes sense that Cultural Studies has succeeded the New Historicism at the top of the humanities heap, because it’s even more unserious, even more indefinable, even more open to recherché (not to say inane and capricious) topics of “study”; to an even greater extent than the New Historicists, the typical practitioner of Cultural Studies combines a breathtaking cultural and historical illiteracy with a tendency to lean on pseudo-radical tropes about Western imperialism and so forth. In sum, it’s an intellectual and scholarly disaster. And its spiritual father is Stephen Greenblatt. Stephen Greenblatt is one of the best know literary critics and the editor of The Norton Anthology. Not everone is a fan though. Dame Hilary Mantel is roughly half way through her Reith Lectures on BBC Radio 4. Best known for her Tudor novels Wolf Hall and Bring up the Bodies (both of which won the Man Booker Prize) Mantel reflects on the nature of historical fiction and whether the genre requires special defense. The podcasts of the lectures and their transcripts can be found here. Students will be unsuprised to learn that this talented author has Irish roots. One of the things that this article warns about is the seduction of anecdotal evidence. I’ll give some of that now. It seems to me that some students treat simple texts as if they were simplistic and obvious. A text that offers a quick interpretation is often more poorly analysed than an obviously challenging one. Parts of courses (or instructions) that seem clear are often ignored.